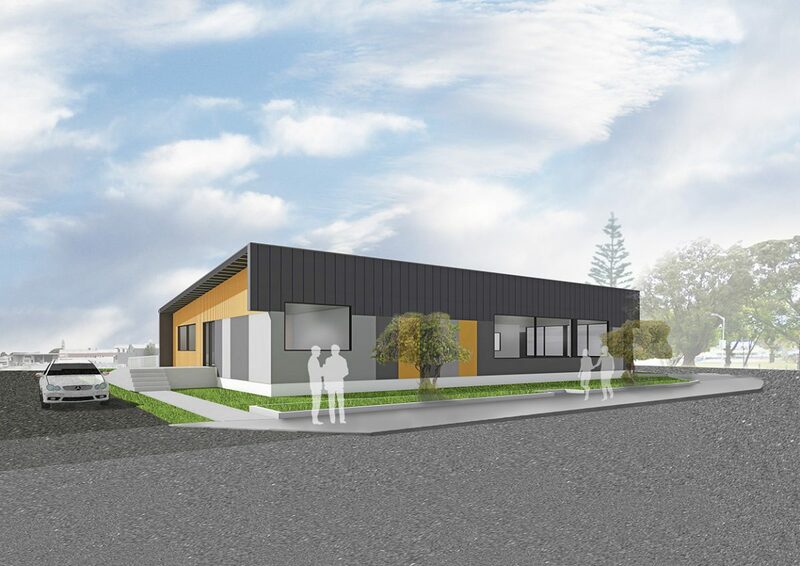 Far North Holdings (FNHL) has been commissioned by the Ministry of Education to build a new area office in Kaitaia, on the site of the car-park the company owns at the corner of Redan Road and Commerce Street. The Ministry plans to move into the new building in December this year. Aspects of the building’s design, construction and fit-out have been dictated by the Ministry of Education but it will be owned by Far North Holdings and will become one of several commercial properties in its portfolio. These produce financial returns to the company, contributing to its overall profit and the dividend paid by FNHL to Council to help offset rates by about four percent a year. FNHL is a company that is completely owned by the Far North District Council and the vehicle for the Council’s commercial operations. No Council funds are being used in the building’s construction. This is being financed entirely by the company. The long-term lease signed by the Ministry is a standard commercial tenancy arrangement and lease payments will cover all finance costs. Half the car park will re-open as a public car park once construction is complete. It will be sealed and marked out. This will continue to complement the parking available in Kaitaia now on the Warehouse and old Pak ‘n Save sites. Far North Holdings chief executive Andy Nock said the company welcomed the Ministry’s move to establish new offices in Kaitaia and, in so doing, upgrade the stock of commercial property in the town. “There were no existing commercial properties on offer that met the Ministry’s requirements, and which were earthquake code compliant and secure from flooding. By providing the Ministry with a suitable building, and its staff with a workplace that is fit and safe to work in, we are enabling the Ministry to maintain a central presence in Kaitaia while also generating a return for all ratepayers.